Sometimes the strongest cravings for food happen when you’re at your weakest point emotionally and you may turn to food for comfort. Emotional eating can sabotage your weight-loss efforts. 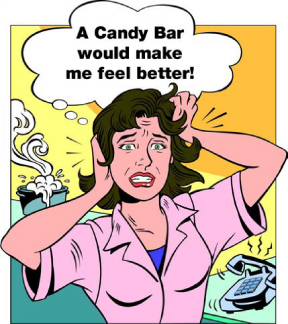 Emotional eating often leads to eating too much, and you most likely will eat too much of the wrong things. I talked to a woman today who ate jelly beans when she knew she had to do a fasting blood test the next day. There are take steps to regain control of your eating habits and get back on track with your weight-loss goals. Also, being on diet or change of lifestyle with food and feeling bad about yourself or frustrated at where you are at–physically. Although some people actually eat less when stressed, if you’re in emotional distress you may turn to impulsive or binge eating — you may rapidly eat whatever’s convenient, without even enjoying it. In fact, your emotions may become so tied to your eating habits that you automatically or impulsively reach for a treat or a sweat, whenever you’re angry or stressed without stopping to think about what you’re doing. Food also serves as a great distraction. If you’re worried about a test, or some life event, or brooding over a conflict, for instance, you may focus on eating comfort food instead of dealing with the painful situation. 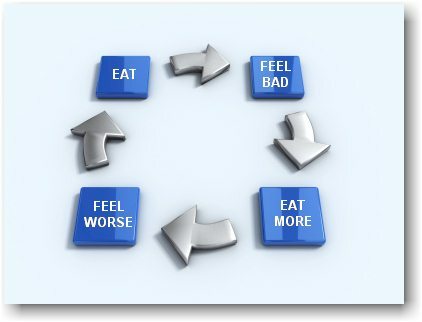 Whatever emotions drive you to overeat, the end result is often the same. The emotions return, and you may also now bear the additional burden of guilt about setting back your weight-loss or health-related goal. This can also lead to an unhealthy cycle — your emotions trigger you to overeat, you beat yourself up for getting off your weight-loss track, you feel bad, and you overeat again. Learn from setbacks. 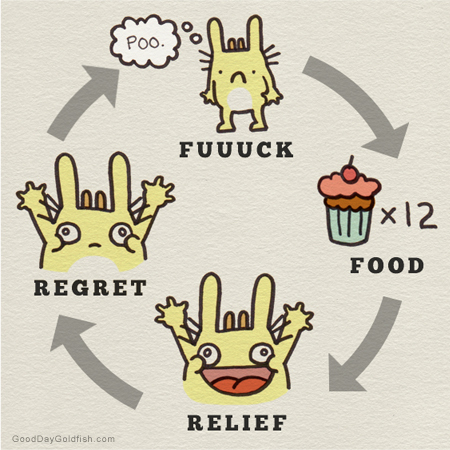 If you have an episode of emotional eating, forgive yourself and start fresh the next day. Try to learn from the experience. So, make a plan for how you can prevent it in the future, focus on the positive changes you’re making in your eating habits, and give yourself credit for making changes that’ll lead to better health. 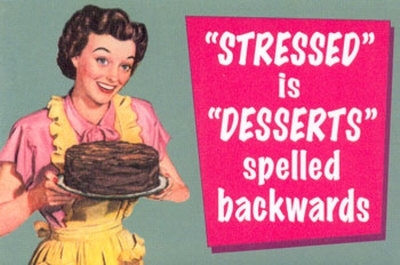 Stress management: If stress contributes to your emotional eating, try a stress management technique, such as yoga, meditation or relaxation. Have a hunger reality check. Is your hunger physical or emotional? If you ate just a few hours ago, you’re probably not really hungry. Give the craving a little time to pass. Keep a food diary. Write down what you eat, how much you eat, when you eat, how you’re feeling when you eat and how hungry you are. Over time, you may see patterns emerge that reveal the connection between your mood and food. Get support. You’re more likely to give in to emotional eating if you lack a good support network. Lean on family and friends or consider joining a support group. Overeaters Anonymous is a good group and it is free. Fight boredom. Instead of snacking when you’re not truly hungry, distract yourself. Take a walk, watch a movie, play with your dog or cat, listen to music, read, surf the Internet or call a friend. Take away temptation. Don’t keep supplies of comfort foods in your home if they’re hard for you to resist. And if you feel angry or blue, postpone your trip to the grocery store until you’re sure that you have your emotions in check. Don’t deprive yourself. When you’re trying to achieve a weight-loss goal, you may limit your calories too much, eat the same foods frequently and banish the treats you enjoy. Snack healthy. If you feel the urge to eat between meals, choose a low-fat, low-calorie snack, such as fresh fruit, low-sugar Greek yogurt, vegetables with low-fat dip or unbuttered popcorn. Or try low-fat, lower calorie versions of your favorite foods to see if they satisfy your craving. 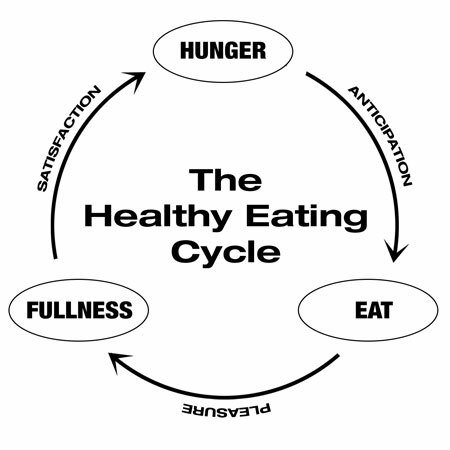 Realize there are two different cycles: Healthy and Unhealthy Eating. First picture here is unhealthy. Second is healthy.